A lesbian couple who claimed they were victims of a hate crime have been arrested after police determined they staged the incidents. 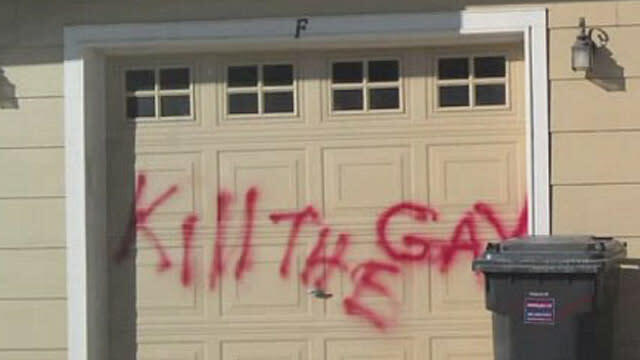 On Oct. 28, Aimee Whitchurch, 37, and Christel Conklin, 29, called police and reported the words "Kill the Gay" were scrawled in red spray paint on the garage door of their Parker, Colo., home. The women told officers they believed the incidents were retaliation from their neighbors and homeowner's association, who had complained the couple did not pick up after their dogs. Due to the nature of the crimes, the Douglas County Sheriff's Office worked in tandem with the FBI to investigate. After reviewing witness statements, authorities determined Whitchurch and Conklin had staged the incidents. She told ABC's Denver affiliate KMGH-TV police were mistaken and vowed to fight the charges. "This is a fight I started. This is a fight I'm going to finish. This is a fight I'm right on," she said. "I have every right to live where I want to live."